While protecting the privacy of participants, researchers can monitor the activities of students online, seeing what approaches work, where students stumble, what grabs students' attention and what style of videos work best in various situations. There's some tricky psychology associated with MOOCs. While they make the courses available to everyone it leads to people viewing the course material alone. If you are exposed to such material in a group setting you immediately get feedback on difficult concepts (this can be something as subliminal as a raised noise level amongst co-students nearby) - which can validate any uncertainty you feel and will make it OK for you to inquire further. Chatrooms and forums aren't a perfect substitute for study groups. They do not contain the emotional encouragment to ask questions (nor do they give the immediate feedback that the question may not be as dumb as one thinks). They also do not provide the positive 'peer pressure' that keeps one striving just to stay in the group - which can be crucial at times to not drop out of a course. The idea of MOOCs is fine. It just needs more work into connecting the students on an emotional level. MOOCS were a pie-in-the-sky concept from the get-go. Many of the most valuable college classes (Differential Equations) I had required completing previous classes. Others (my chemistry lab classes) needed hands-on activity that simply could not be done virtually. Some (Introduction to Modern Physics) required the kind of extended Q&A interaction with an expert that a student could not readily get in a MOOC. I agree with Antialias, that there are positive effects from being in a classroom, with other students. You can compete with them, ask questions that enhance the lesson, listen to others ask questions you may not have thought of, interact in group projects, and most importantly-Learn from the other students. I have found online courses almost useless. They want me to read a book and take tests, there is not a lot of "learning" going on, just coursework. I have found that I learn much more when I can interact with other students and pick their brain as well, not just the professor's. I also enjoyed watching other students present things, and get ideas from their work, thus improving my work in the future. Maybe they can improve MOOC by making them more like world of warcraft, where you access the course in a video game format, more closely mimicking the classroom setting. I think it would help with the shortcomings of MOOCs. Why are we using chatrooms like its 1996? 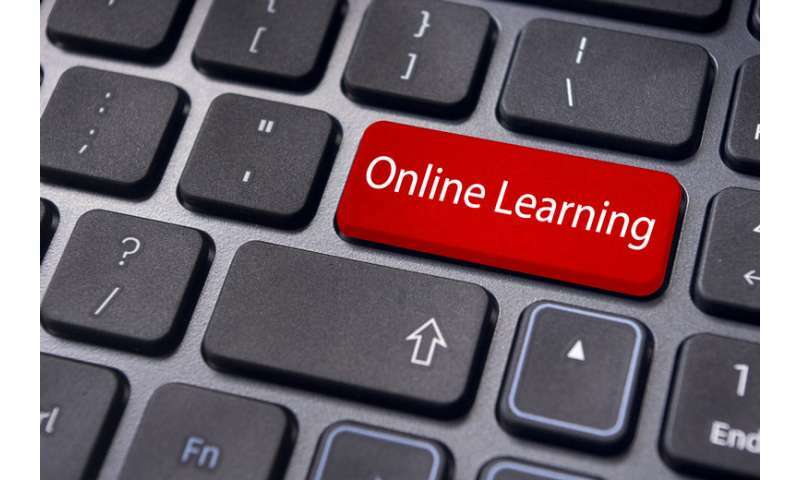 I'm all for MOOCs and for improving them. But don't define success in terms of student completion rates or how broad the reach is. You have to accept that even in a perfect environment with excellent students, the completion rate will be low. Why? Some students will sign up for a course to find out if the are interested in that field. For example, I was in graduate school when I finally discovered the type of math I wanted to specialize in--and even then, the course (Operations Research) was offered in the School of Management. Given a lower degree of commitment required by MOOCs, more students will shop and drop. The other problem is that some of this material is hard, and it is a rare type of student who can breeze through their coursework, run into calculus and then learn how to learn while falling behind. Perhaps what is needed is for libraries and community colleges to offer MOOCs combined with an instructor for a small group. TL;DR I didn't learn F'all from online courses, but I competed my degree in any case. I guess I learned a little about forum participation, but nothing more than I could find here or any place else online. The technology will improve, that's why we try stuff. My only concern is that this technology wasn't invented to address a problem with education, but with greed. The CNN documentary Ivory Tower (a real piss you offer, if you haven't seen it), painted these as America's only hope to combat the capitalist strip mining of humanity that is college tuition. Since the problem isn't with the quality of education, but the quality of our (abysmal) national character, the path to improvement is really muddied. Is it about what is being taught, and how, or about the kind of person who comes to these courses unprepared by a society that constantly denies them the basic tools of thought? Last year I took a MOOC in International Economics from George Mason U as a refresher course, and I was impressed with the content and effectiveness. I had taken this material in 1970 as an undergraduate and 1985 at the grad level from two different schools, and this seemed to be better than either "live" class. I'm convinced that an important niche for MOOCs would be refresher courses for mid-career types. MOOCs follow the traditional, one size fits all, non-facilitated, teaching methodology, so they were doomed to not advance, long term, deep, individual student learning success from the beginning. platforms empower students to advance learning outcomes. Why educational organizations, who should know better, hyped a platform that is known to be ineffective is beyond me.